I want to update from my old Android phone to iPhone 7, but I have shot some videos with my old Android phone, so I want to transfer those videos to the new iPhone. I wonder is there any easy way to realize it? I’ll appreciate your suggestions, thanks! First of all, we should make it clear that iPhone only supports certain types of video files such as MP4, M4V and MOV files. Thus, if you want to transfer videos from PC to iPhone 7 for an enjoyment, you will need to convert your videos to iPhone-compatible formats. In certain situations, iTunes will do the conversion stuffs for you, but you will probably need HandBrake or Leawo Video Converter Ultimate to give you a hand. And the post below will show you three methods to transfer videos from computer to iPhone 7 with iPhone transfer software and iTunes. When we talk about how to transfer videos from computer to iPhone, you may first want to try iTunes. iTunes is the only official media player and media library application provided by Apple. 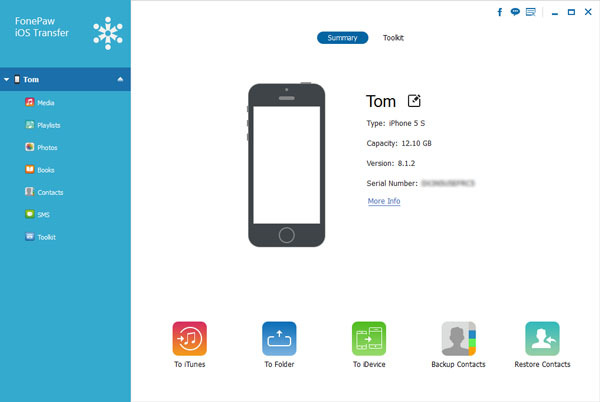 People can use this software to manage the libraries of their iPhone, iPad and iPod touch. Users are able to transfer videos from PC to iPhone with iTunes, and they don’t need much time to accomplish the transfer. 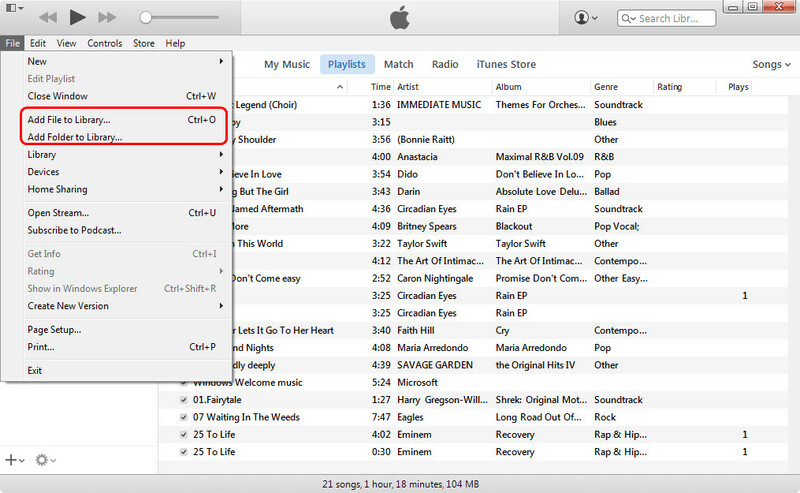 The following guidance will show you how to transfer videos from computer to iPhone with iTunes. Note: When iTunes is syncing videos from iTunes Library to iPhone, it will only sync the selected videos in the library, that is to say, iTunes will erase all the unselected items. If you have non-purchased videos which aren’t saved in iTunes library, you will lose them permanently. Step 1. Launch iPhone Transfer on your computer and connect iPhone to PC via USB cable. After the software detects your iPhone. All the data will be listed in categories. Step 2. After that, you will see the data all listed in the left side of the interface. Click “Add” and then choose “Add File/Add Folder” and then you are allowed to browse and select the movies you want to copy from computer to iPhone. Click “Open” to transfer videos from computer to iPhone. If you want to copy videos from PC to iPhone directly, you are also able to try this iPhone data transfer software. Leawo iTransfer allows you to transfer files among iOS devices, iTunes and PCs with ease. With this software, you don’t have to worry about the sync of iTunes and the sizes of your video files, you can transfer all the video files you need at one time. The following guidance will show you how to transfer videos from PC to iPhone, and you can free download the software and have a try. Note that the trial version has a limit on the times of data transfers. 1. Run Leawo iTransfer on your computer and connect iPhone to computer with the USB cable. The software will recognize your iPhone and automatically detect the contents in your iPhone. Then the software will show the libraries of your iPhone in the left sidebar. 2. 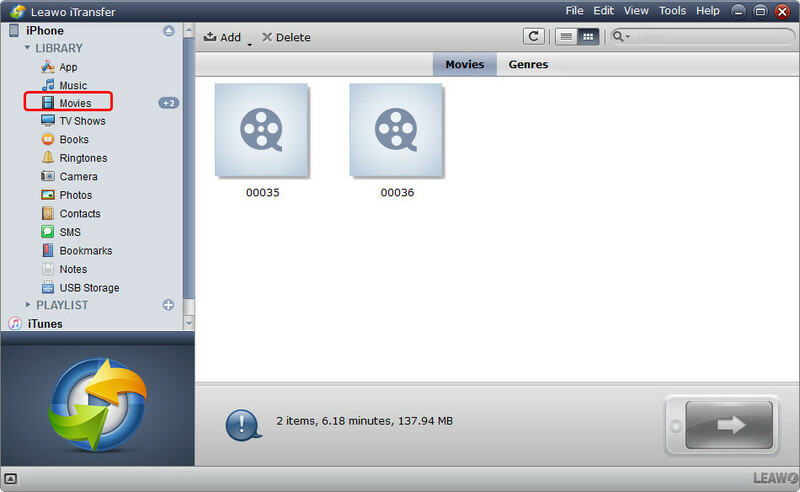 Click “Movies” in the left sidebar, and the contents will be shown in the right part of the window. 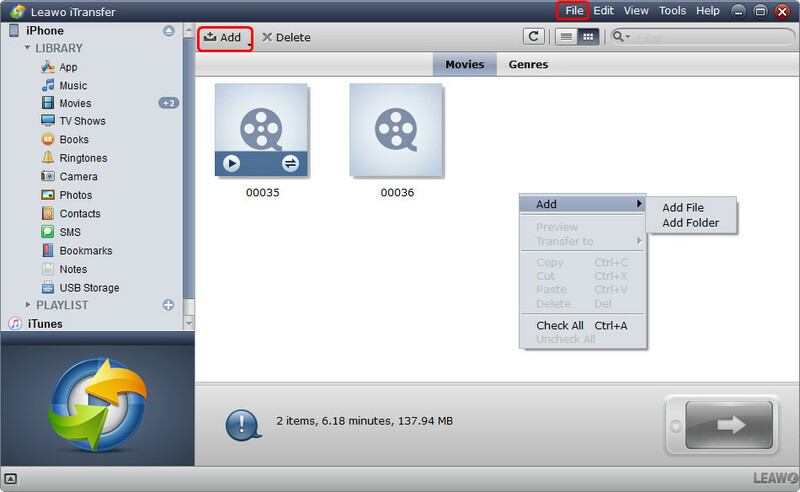 If your Movie Library is empty, the software will offer an “Add File” button in the middle of the window to help you add video files from computer. Or you can click “File > Add > Add File/Add Folder” at the upper right corner of the window to add video files from your computer. 3. After choosing files, the software will start transferring videos from PC to iPhone. The progress bar in the dialog will show you the percentage of the transfer process, and when the transfer is done, you will get the videos in the target folder. We all know that Apple has not enabled its iTunes to transfer video from iPhone to iTunes or computer. However, with Leawo iTransfer, you could easily transfer video from iPhone to computer or iTunes, as well as other data and file types like pictures, messages, notes, etc. The following chart is about the comparison between the two iPhone transfer software and iTunes, and you can choose anyone you like according to your actual need. Maybe there are other methods that could help you know how to transfer videos from PC to iPhone. You can feel free to have a try.